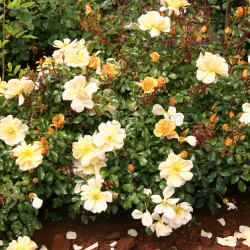 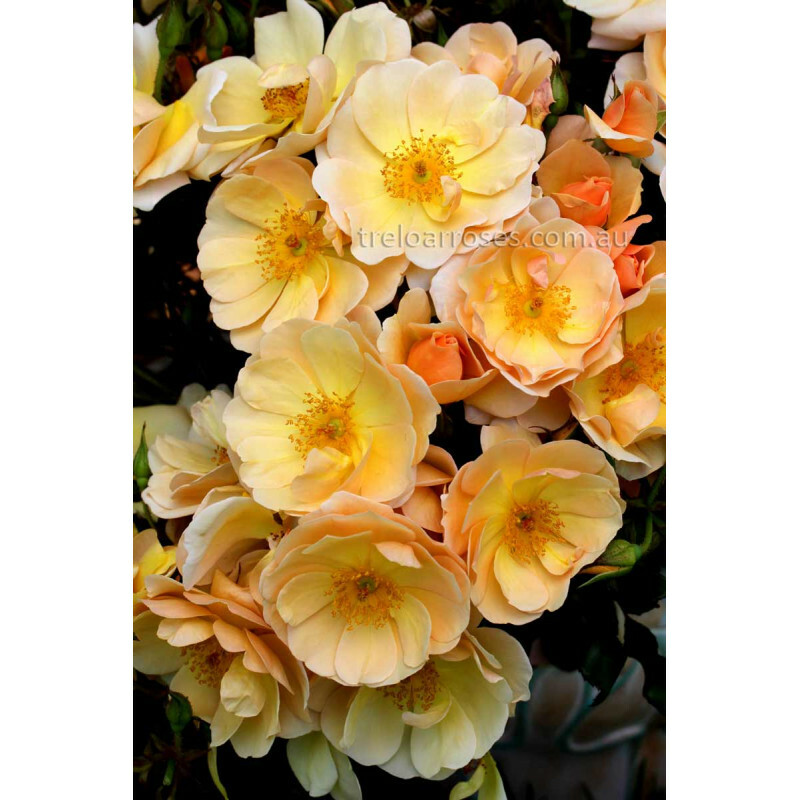 (Korsoalgu) - This healthy ground cover produces semi-double coppery yellow blooms that fade to cream. 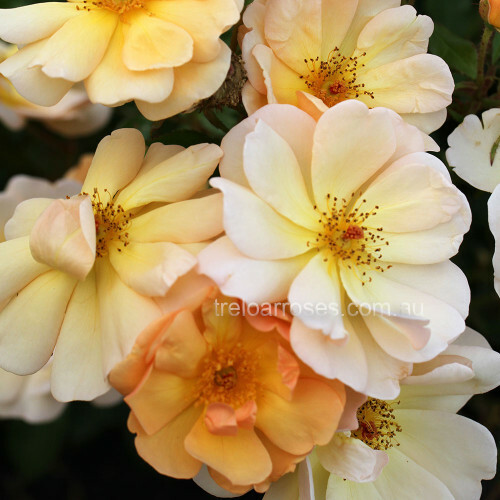 Good disease resistance and an abundance of flowers show why this variety has won international gold and silver awards and a Certificate of Merit at the National Rose Trial Garden of Australia 2010. Slight fragrance. 50cm x 1m wide.